At the risk of you breaking out into song! On Monday eve I went out for dinner with Thomas Power and Bob Barker, all of us in our 50’s; while eating our pizza we inevitably talked about the digital age, millennials and selling and marketing. Three topics close to us all. We got onto the subject of how little we use a phone as a phone. 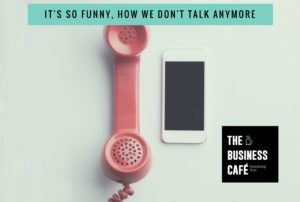 I mentioned that no one apart from BT has our landline number, Bob said he did a training course recently to a group of Millennials and they didn’t have the phone icon on their mobile home screen. I then said that I find it so hard to take a spontaneous call from anyone, it ‘is just not the done thing anymore’. Calls are booked in my diary as a meeting. I even text my dad more than I call him (although that is partly down to his hearing challenges at 90 years old). All of this is ridiculous, and on the subject of loneliness and isolation, how sad it is that we don’t even hear a voice. I then became curious about this and wanted to ask you all what you think about this. Has the art of calling left us, could we still do telephone cold selling? Could I actually call a prospect and expect them to listen to me? I use Twitter and LinkedIn for my prospecting, What about you? Yesterday I was at the Voice over IP phone company Vonage, their sales are increasing amazingly, especially the self employed and micro business sector, providing a Landline number for businesses. Quite amazing that I was having these thoughts 24 hours before I saw them and then hearing that phone number sales are on the increase, I guess taking market share from BT. 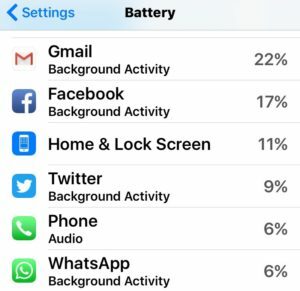 I would love to hear your thoughts on this, for me my phone calling activity was only 6% of its use yesterday, with 54% being used on Facebook, Twitter, WhatsApp and Gmail. Have I gone mad, or what?? Have we all shifted? Does it depend on the business we are in? Can we ever go back?